Currently, we are working our way around the home turning the blank canvas from when we moved in into our home. We've completed our living room, hallway, downstairs bathroom, stairs and landing and Jack's bedroom. That leaves the upstairs bathroom, Isla's bedroom, our bedroom and the kitchen. The kitchen is going to take a fair amount of work as we want to swap it around as the layout doesn't work. Next on the list is Isla's bedroom, I'd love for her to be next to have somewhere that can just be tailored to her. Now, I've had lots of ideas for Isla's bedroom but then I keep seeing something else and wondering if she would actually prefer that. If I was to ask her she would probably give me a crazy answer and I'd rather something she can grow up with. I always think when you decorate a room to a TV Character they like, they will dislike it sooner as they grow up and move on to something else. One of the things I've been looking at for Isla's room is a mural wallpaper, something which can add some style and colour without having all of the effort of individually painting things - plus they are easy to apply and stay up until you want them back down. Jack has a large Star Wars mural in his bedroom and although initially I thought it would be tricky, it was the easiest part of decorating his room. I had thought of having some of the walls just a plain colour and then one as a feature, as Isla has a fairly large bedroom I think this would look best and not as busy. We then have the freedom to accesorise the remaining walls. 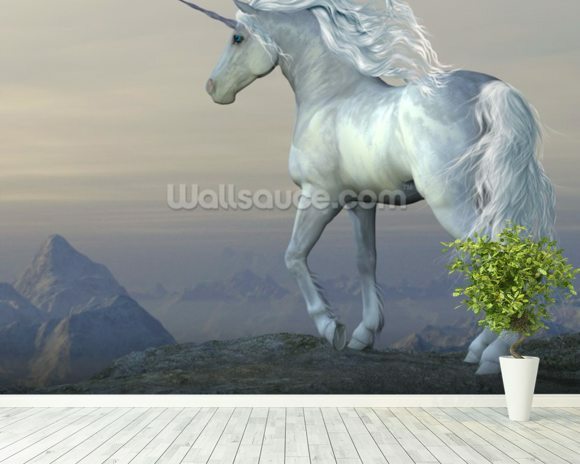 Recently I came across Wallsauce, which is a website specialising in Wall Murals, selling a wide range of children's mural wallpaper. There is simply something to suit everyone on there, from child focused design suiting younger children to educational themed murals and something a bit more fantasy - no matter what the age there is sure to be something. 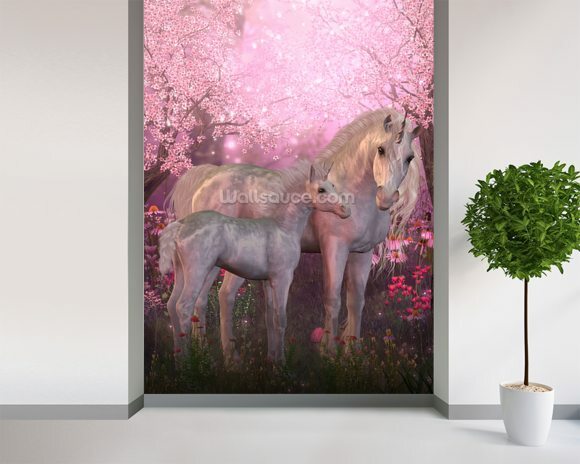 Whilst browsing the children's wall murals I found a few ideal for Isla's room which I will share with you. There was a lot more beautiful items over on Wallsauce, but I just wanted to share my Top 3 picks which I'm considering for Isla's room. The first two are these unicorn pieces, Isla like many little girls loves unicorns and whilst this is a current love of hers, I still feel like its something she could grow up alongside and last a while. Its not something which will look babyish in a year or so for her. 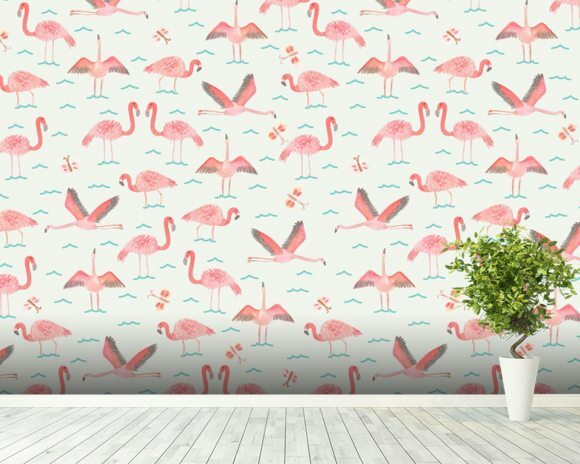 Next was this flamingo print. I just loved how bright and colourful this was whilst still reaching children but also as they grow up too. Whilst this is rather pink and not a colour I would normally go for, I had thought of some spots of pink in Isla's room as it is one of the colours she loves amongst a few others. So there it is, my top three picks. There are plenty of other designs over there which you can choose from, you are bound to find something which will suit you and your room needs. What are your children's bedrooms like? Would you consider mural wallpaper?